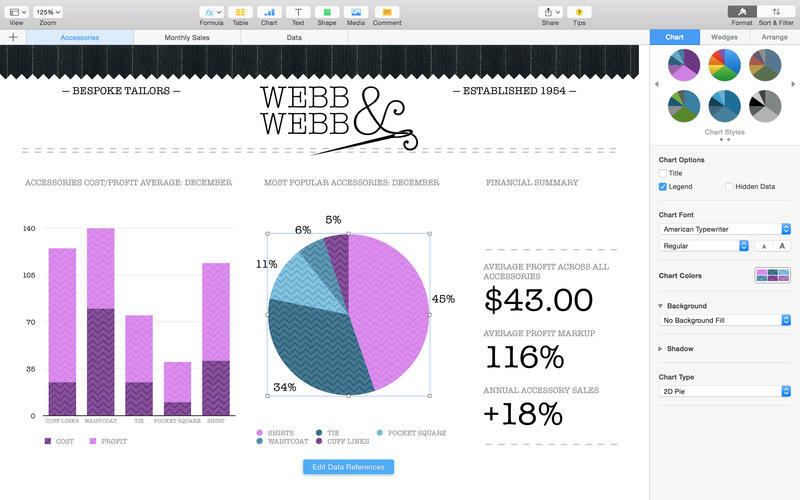 Apple Numbers 3.6 – Apple’s spreadsheet app from the iWork suite. With Apple Numbers, sophisticated spreadsheets are just the start. The whole sheet is your canvas. Just add dramatic interactive charts, tables, and images that paint a revealing picture of your data. You can work seamlessly between Mac and iOS devices. And work effortlessly with people who use Microsoft Excel. Next story Apple Pages 5.6 – Apple’s word processor from the iWork suite. Previous story Pixelmator 3.4 – Powerful layer-based image editor. Numbers 3.5 – Apple’s spreadsheet app from the iWork suite. Final Cut Pro X 10.3.3 – Professional video editing solution. Logic Pro X 10.0.6 – Music creation and audio production tool.